Winemaking was a perennial interest of Jews, Christians, and even, Muslims. Even though Muslims were religiously prohibited from drinking wine by the Qur’an because it led to a culture of “debauchery”, this did not prevent Extremaduran Muslim families from owning, renting, and managing their own production of wine. In this manner, winemaking created a co-existence of cultures. At times, the local wine culture corrupted even the most devout – especially churchmen. During 1430s, Bishop Gonzalo Garcia de Santa Maria and church leaders exerted considerable effort to reign in their local clergy who drank more than their fair share of wine produced in church and personally owned vineyards. Put simply, the bishop decreed that he would excommunicate his clerics if the malcontent and obstinate ones failed to “cease and desist” in their excessive consumption . Church leaders, as individual proprietors, were happy to participate in the local wine industry and other agricultural endeavors. In 1424, Don Gonzalo Garcia de Carvajal, the Archdeacon of Plasencia and Bejar, secured his own lease of a bountiful vineyard called “Los Bariales” that commanded the annual lease of 350 maravedis (ACP Actas, Folio 98-98v). Gonzalo’s expensive lease, roughly seven times the cost of Alonso Fernandez’s use of the vineyard of “La Salgada”, must have generated incredible, high-quality and plentiful grapes. Similar, the Ruy Gonzalez, a ractioner in the Cathedral of Plasencia, benefited from a large yearly lease (100 maravedis) of an aza of olive trees in the Dehesa de los Caballos . Photo 1: The Gate of Trujillo (Puerta de Trujillo). Photo 2: The Jerte river adjacent to the gate of Trujillo (Puerta de Trujillo). During the fifteenth century, the Diocese of Plasencia owned fifteen vineyards, all of which were located in the central and southern portions of the bishopric, including the Pueblo de Albala, Pueblo de Jaraicejo, Villa de Trujillo, and Puerto de Castano . The church’s chief concerns about the vineyards often related to the quality and maintenance of the vineyards. In the Pueblo de Abala, where twelve of the vineyards were located, the scribe notated that the church held the best grapevines of them all – “la Vina Mayor dellas” in the site called Roman Gordillo and the “Vina Mayor” vineyards donated by Torme Gil de Guacos. The cathedral also tracked the ownership of the land surrounding the cathedral’s own vineyards; there was good incentive to do so since their fruits were subject to a church tithe or tax (decimos) of ten percent. These included the vineyard called “El Mafuelo” in Pueblo de Abala that belonged to the priest, Gil Fernandez, and the vineyard called “Albaladejo” in the Villa of Trujillo. 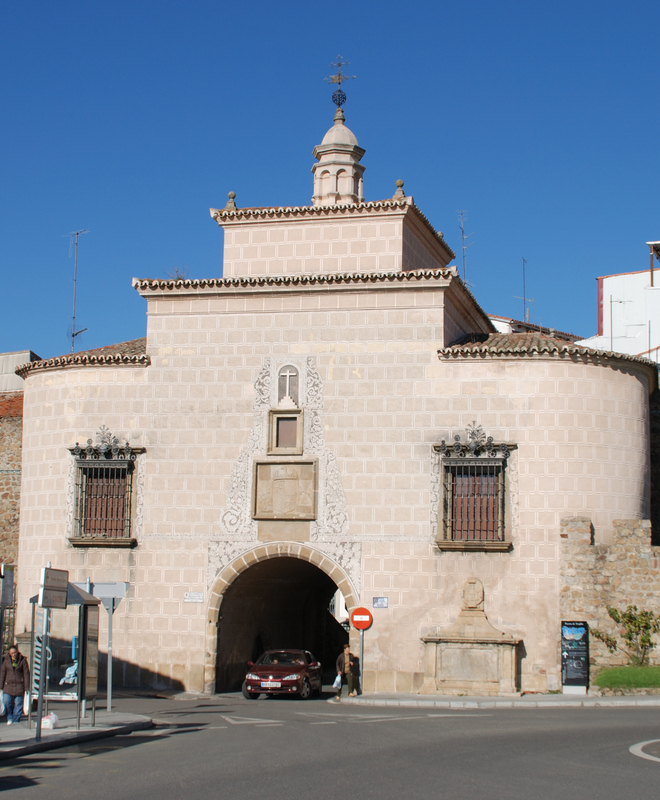 Albaladejo had it’s own interesting history as it was first owned by the Chantor of Coria and Archpriest Alfonso Martin de Retortillo who bequeathed it to Archpriest Gonzalo Matos, who in turn leased it in the 1390s to the clergy of Trujillo. Unlike the previously discussed pastures, churchmen seem to have jealously guarded and transferred these precious vineyards from generation to generation. Alongside the clergy of Trujillo’s vineyards of Albaladejo in the Villa of Trujillo there were others belonging to Diego Garcia Bexarano, Gonzalo Garcia, and Don Abraham (brother of Don Joseph.) Although little is known about Don Abraham and Don Joseph other than both were Jewish nobles living in Christian Castile, we do know something about Diego Garcia and Gonzalo Garcia—they were brothers—and their mother was Doña Mencia, daughter of the knight Diego Gonzalez de Carvajal of Plasencia . Other church records from 1414 point to Muslim winemaking in the region . For example, the Christian Alfonso Fernandez Alfagerme assumed a lease of a vineyard known as “La Salgada”, this name perhaps a reference to orach (an edible plant) growing in the area. Subsequently, the same document presents a broader social view of the cluster of vineyards that were owned by Christian Marta Fernandez, Christian Juan Gutierrez, and lastly, the Muslim known only as “Ali”. Ali’s vineyard carried the distinct name, “El Caballo”, or the horse. In a more detailed accounting for vineyards in the vicinity of the village of Trujillo, in 1443, it is noteworthy that Muslim leases were a part of family tradition of Islamic winemaking . In an region known as Albaladejo, at the periphery of Trujillo, the Cathedral of Plasencia first leased lands with grapevines to Mahomet del Corral, and after his agreement expired or was not renewed, his brother Aiza Luengo, took on the property. As in the prior example of La Salgada, these wine-producing lands were adjacent to a community of vineyards – one was rented by the Christian, Alonso Martinez Lucero, and another by the Muslim, Omat Sillero. 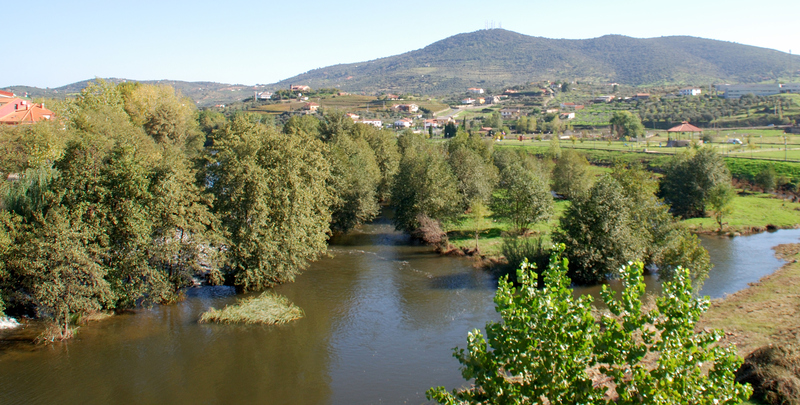 Closer to Plasencia, the extent to which Muslims engaged in winemaking and allowed their environment to shape them in spite of religious prohibitions is the important case of the Jahen family. The Muslim Jahen family appears to have been very prosperous as it leased and owned several properties just outside the walls of Plasencia. In 1462, Abrahym Jahen secured a perpetual “infinitum” license to an “olleria de viños”, presumably a structure for making and preserving wine in pottery containers, and its lands alongside the Jerte River and close to the southern city gate (Puerta de Trujillo) . Up until 1472, Abrahym owned other agricultural lands adjacent to thePuerta de Trujillo and a smaller rock bridge . This valuable finding indicates that Extremaduran Muslims, just as their Jewish counterparts, could be fully integrated into a regional geography that demanded flexibility in terms of economic roles. Jewish families also participated in the wine tradition of the region, but apparently, to a lesser extent as they were represented more thoroughly in local urban trades. With the Catholic Monarchs’ Edict of Expulsion of 1492, all Jews were forced leave territorial Spain. They were required to sell their real property as well as limited in terms of the personal property and coinage they could take with them. From this archival record several Jewish families can be identified as vineyard owners. On May 21st of 1492, the Jewish noblemen Ysay Parhe and Arabram Haruso sold their houses (in Plasencia) and vineyards to the Christian, Pedro Nieto . Approximately one month later, the dean of the cathedral, Diego de Jerez, purchased the homes and vineyards from the Jewish individuals, Ysaque Molho and Ysaque Abenhabibe . Thus, before the radical religious transformation of Spain into a Catholic state at the end of the fifteenth century, the Extremaduran land offered the opportunity to create grapes and wine and accordingly this community of Jews, Muslims, and Christians all produced it. Sells, Michael. 2006. “Love.” In The Literature of Al-Andalus, edited by Maria Rosa Menocal, Raymond P. Scheindlin, and Michael Sells, 96-125. Cambridge: Cambridge University Press. pp. 136. Archivo de la Catedral de Plasencia (ACP) Legajo 91, Doc. 18. ACP Actas Capitulares Tomo 1 (1399-1453) Traslado, Folio 372v-374. ACP Actas , Folio 5-5v, 6-6v, 8-8v, 10-11. ACP Actas, Folio 145; RAH Colleccion Salazar y Castro, Tomo C-20, Folio 212v-214v. ACP Extractos del Inventario de los papeles del archivo, Tomo 2, Extracto No. 22, Folio 32. ACP Legajo 151, Doc. 26, Folio 1. ACP Legajo 5, Doc. 30, Folio 1. ACP Legajo 5, Doc. 29, Folio 1.